It just so happens that Windows 8.1 does a lot more on the education front than Windows 8 did. There are two major parts to this. First, new users of the operating system will periodically see large, arguably intrusive, information panels to tell them about the corners. 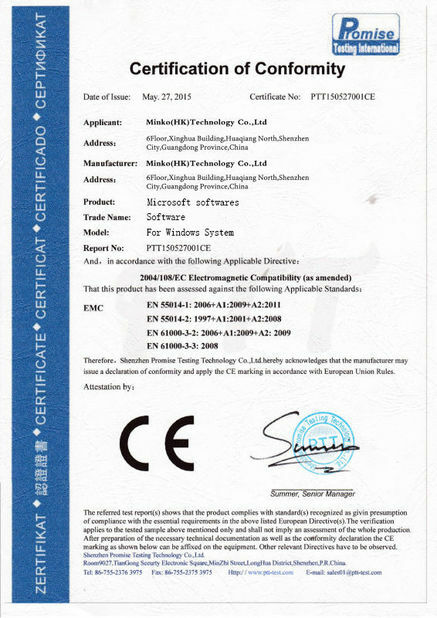 They appear automatically, and they provide the major details about how to use the operating system. I think they still leave the individual charms basically unexplained, unfortunately (though it might be that for whatever reason the operating system has never felt it necessary to show me more detailed info). At least when it comes to explaining the all-important bottom left corner, the panels appear to be reasonably informative. Second, there's a new app called Help + Tips, pinned to the Start screen by default, that contains extensive advice and guidance on how to get around. I can't say whether these things are actually sufficient. It's possible that new users will ignore them or just not notice them, struggling just as much as they did with Windows 8. I know my way around the system anyway, and I don't have any convenient guinea pigs to really test these things on. Honestly, I doubt that they're perfect. They are, however, several orders of magnitude more useful and more informative than Windows 8 when it comes to showing new users the ropes. They may not be the complete solution, but there's no doubt in my mind that they're at least part of the solution. Windows 8.1 is definitely better off for their inclusion. It's still possible that Windows 8.2 will have to incorporate some kind of mandatory training app that runs on first use to walk new users through every step of the interface, just like Microsoft's mouse tutorials of the early 1990s. 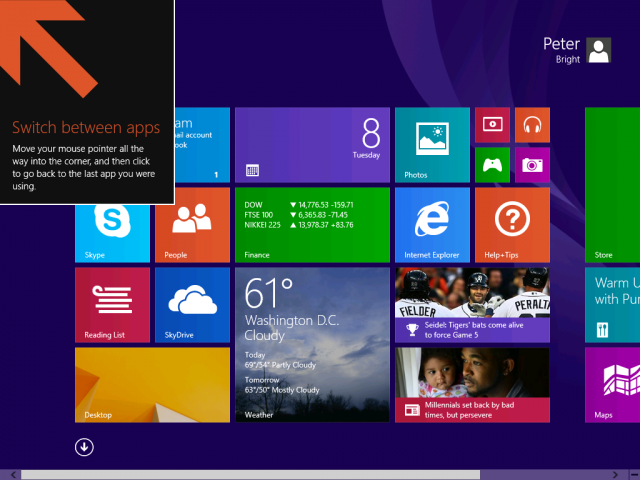 Windows 8 was designed for tablets with screens of about 10 inches or more. Recently, it has shipped on 8-inch tablets such as the Acer Iconia W3. I did not enjoy the Iconia W3 for two reasons. First, it was lumbered with an extremely poor screen (though I believe newer units have a better screen than the one I reviewed). Second, Windows 8 just wasn't that great on a device that small. On an 8-inch screen, the desktop is basically unusable, meaning that you want to use Metro apps all the time. 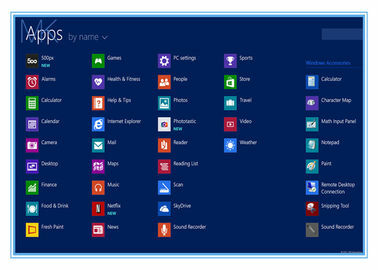 The Windows 8 Metro experience was incomplete in various ways, and the Metro app ecosystem was immature. One facet of this immaturity was that even among the apps that existed, many didn't have any useful support for portrait mode. While the 10-inch tablets tend to be rather ungainly when used as portrait devices, it's an important scenario for 8-inch devices, which are much more comfortable for things like reading apps. In 8.1, portrait orientation is more of a first-class citizen than an optional extra. Built-in apps such as Music and the Store, which didn't support portrait mode in 8.0, now have proper portrait layouts. 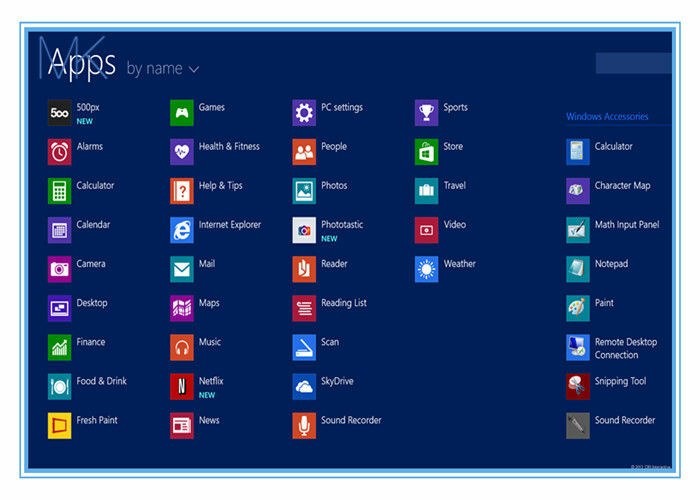 Adapting Windows 8.1 for these form factors has also inspired other features. The instant access to the camera from the lock screen is one such feature. Using a 10-inch tablet to take a photo serves no purpose other than to make you look foolish. Using an 8-inch tablet to take a photo is somewhat more socially acceptable. Reading List is another small form factor-inspired app. Metro apps can send content to the Reading List for later consumption by using the share target. You can then use Reading List to return to that content and, uh, read it. The app is simple. As with many other things in Windows 8.1, it's cloud integrated, so your actual reading list is stored on SkyDrive and shared between machines, making it a convenient repository for things you find interesting. The appeal is a little limited, however, as there are no companion apps for any other operating systems, not even Windows Phone.